Like so many things in Japanese culture, if you explore a little bit below the surface understanding of any topic, there is a whole world to discover… this is true for sushi, kimono and of course, sake, too. 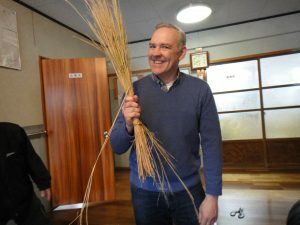 I had this same feeling when I was recently invited by the local community here in Minami Uonuma to make “New Year’s decorations”. I was envisioning something like a christmas ornament crafting session at the local community center with ribbons and glue. 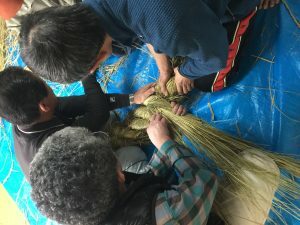 I arrived at the community center however to find several bundles of rice straw outside and what we would really be making started to come into clearer focus. 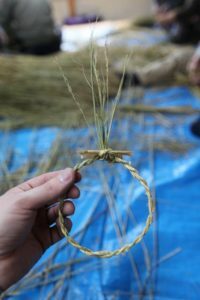 I soon understood we would be crafting our own Shimenawa (標縄) to decorate a local shinto shrine in preparation for New Years. Shimenawa is something I had seen dozens of times before, but never thought much about. It is a type of rope woven by hand out of rice straw. 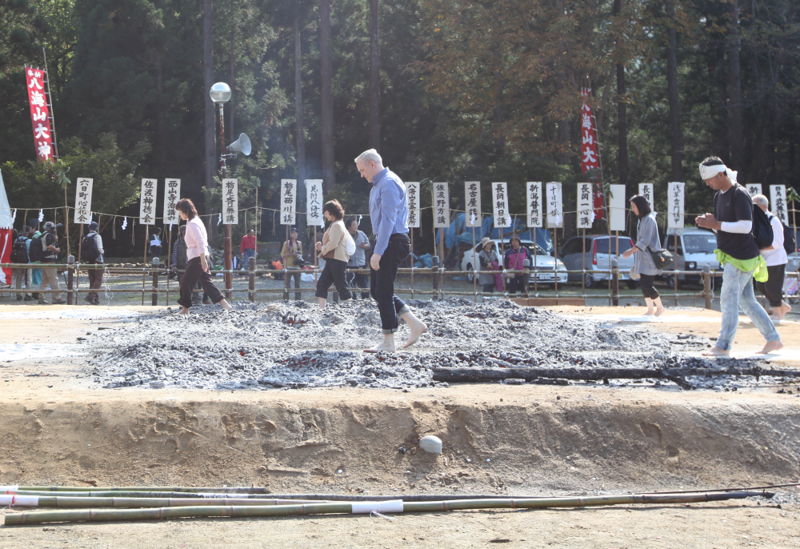 The ropes can range from thin to very think and they are used to delineate sacred or pure areas at a shinto shrine. These ropes are also used to signal a space that can house or enshrine a shinto deity, so you see these ropes adorning entrances to shrines and also wrapped around Yorishiro (依り代) or objects such as special trees or rocks that are capable of attracting and housing shinto gods. 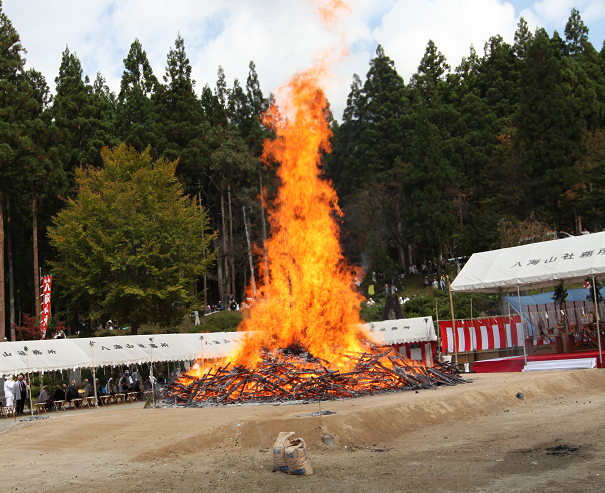 Our community would be working throughout the morning to create different types of Shimenawa for a small local shrine dedicated to Inari, the god of foxes, rice and sake. 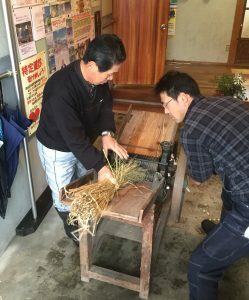 The first step in making our own Shimenawa was to soften the rice straw to make it pliable. To this end, an an old fashioned press appeared from storage. this was a machine that looked like it had seen decades of Shimenawa production. A hand crank was turned and the rice fed through to crush it a bit and soften the fibers. We all took turns running the crank and I even had a go. One of the farmers told me with out this machine we would be beating the rice with a stick to soften it. This seemed much better! After softening, the rice was brought into the work room and everyone sat down and started working. I first just watched and was amazed to see ropes and other woven decorations begin to appear. 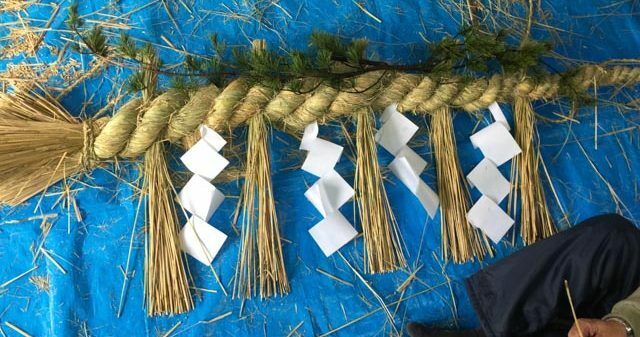 The method for making the rope boils down to rolling multiple bundles of rice straw between the palms of your hands to twist it in one direction, and then braiding the bundles in the other direction. This creates a strong rope that won’t come undone. After a quick lesson, I was trying to make my own Shimenawa. My first two tries were a failure with my rope immediately unraveling, but after a bit more instruction, I figured out the trick and soon had a two ply thin rope of my own creation! I tied the rope into a circle to make a wreath. My next challenge was to make a kind of carrot-shaped woven decoration using a three ply rope that is hung on a shinto shrine doorframe. Working with three ply was more difficult, but I got it to work and made a smaller, messier version than the pros! After a few hours of everyone twisting and weaving, it was time to bring all the finished products to the shrine. And the finished products were impressive. 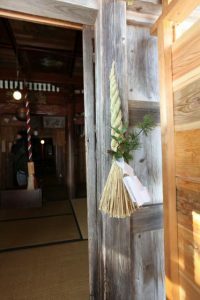 There was a large rope to hang over the entrance to the shrine and smaller ropes for the doorframe. 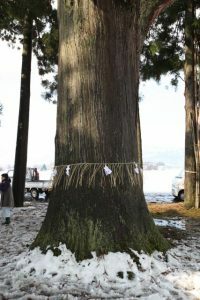 Also, a rope was wrapped around a beautiful and huge yorishiro tree next to the shrine. 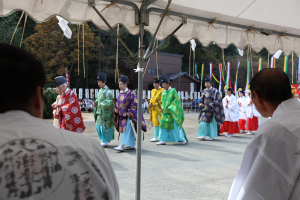 The ropes were all adorned next with shide (紙垂), white zigzag paper streamers that are used to ward off evil spirits and that help demarcate a sacred space. All this was done in a few hours, but I felt I had learned so much in this short time. It was such a rare experience to learn this craft first hand from Niigata locals. This entry was posted in Tim's Corner on December 29, 2016 by hakkaiedit. One of my favorite Japanese words that I’ve learned so far is gentei (限定), which simply means limited, but is often applied to a seasonal product or limited release product. Gentei items are popular in Japan! Hakkaisan also has some seasonal products, one of which is sold only in December each year. 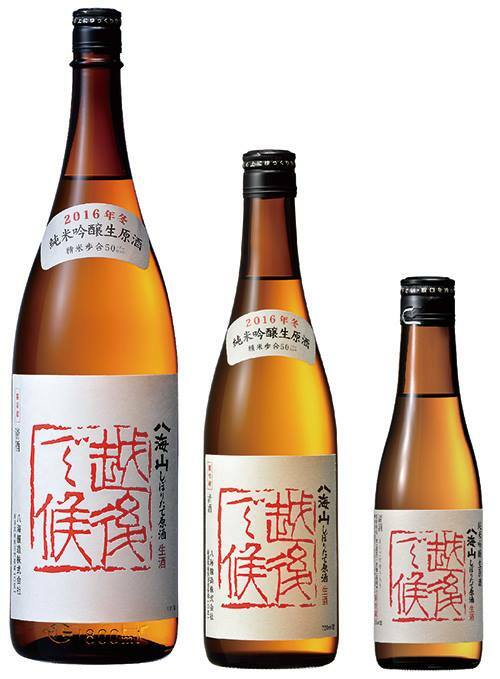 Hakkaisan’s once-a-year December release is Echigo de Soro Junmai Ginjo Shiboritate Nama Genshu. It is a long name so lets break down what it means! Junmai Ginjo : Junmai Ginjo is the sake classification for this sake. To learn more, please visit our Sake Classifications page. Shiboritate : Shiboritate means “just pressed” or fresh from the sake press. 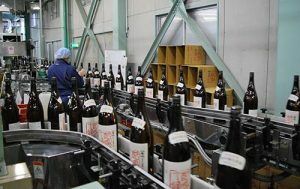 Genshu : Genshu is sake that is undiluted with water. These sakes are higher in alcohol, 17.5% in this case. Drinking a shiboritate nama genshu is as close to drinking sake right from the press as you can get. And lucky for me, being at the brewery, I was able to get my hands on our Echigo de Soro Junmai Ginjo the day it was bottled! This is a sake to enjoy young and fresh. It does not get much younger or fresher than this! The taste is bright with soft hints of melon and slightly rich with clean finish that doesn’t linger. You can feel the full bodied weight of the higher alcohol but the sake overall has excellent balance. I recommend you drink this sake chilled to bring out the crisp flavors and finish. 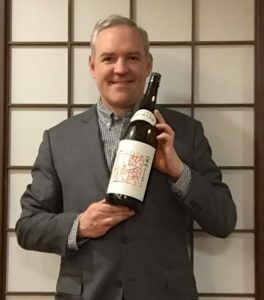 Unfortunately, this sake is very limited and not yet sold in the U.S., but if you ever make it to Japan in December, please be sure to try one of my favorite gentei sakes! This entry was posted in Tim's Corner on December 23, 2016 by hakkaiedit. 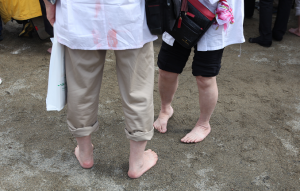 Almost every sake party or event I’ve been to in chilly Niigata has had someone assigned to be the Okanban. 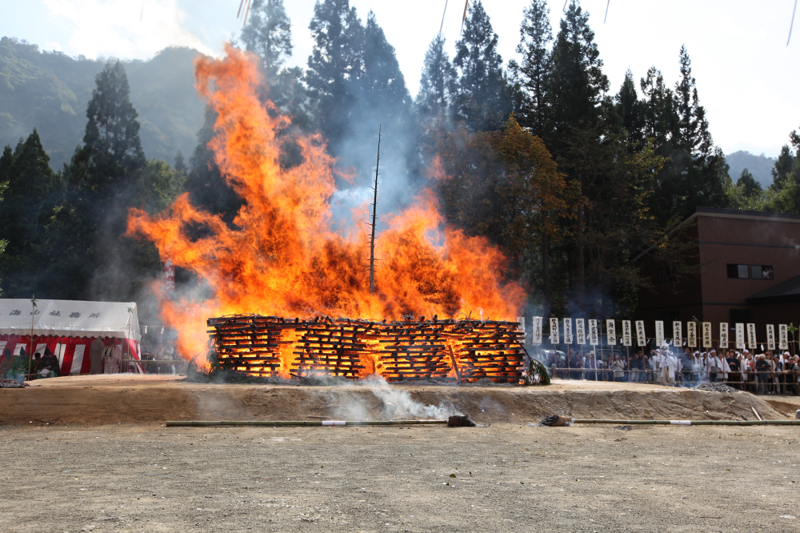 In short, the Okanban is the person in charge of warming sake. They make sure the sake is at the right temperature and ready when needed. At a busy event, it can be a lot to juggle, but a good Okanban keeps the sake and the party flowing! 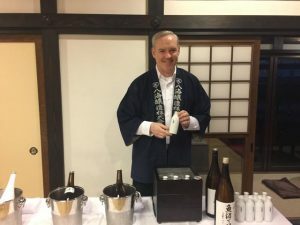 I recently had my first chance to be the Okanban at fun sake event. Hakkaisan was included in a sake tasting at the beautiful Ryugon Hotel in Muikamachi, Niigata. 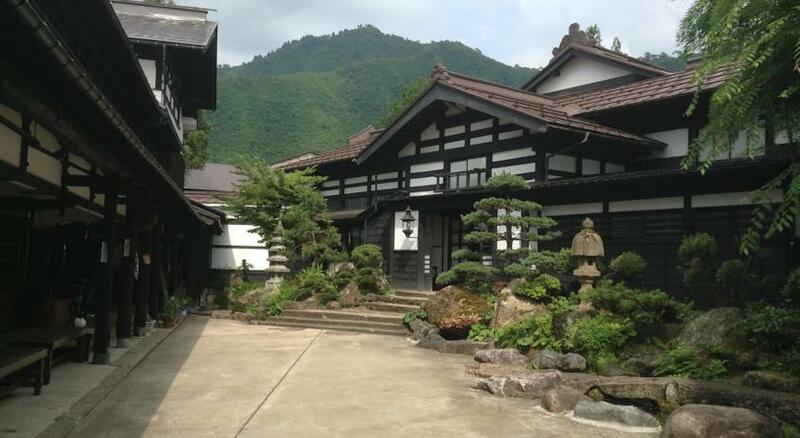 This beautiful onsen hotel includes a structure that is a 200 year old samurai house. 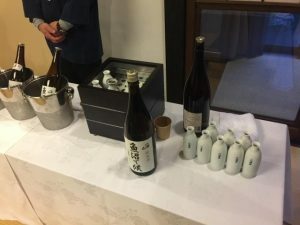 The sake was set up in one of the hotel room suites so that guests could walk around the hotel and sample food and sake along the way. The main tool of the okanban is the shukanki. This is a metal-lined wooden box that allows you to create a hot water bath inside for the sake carafes. A dial on the outside allows you to set the water temperature. This along with a good sake thermometer are what you need to get started. I was using smaller size (180ml) sake carafes to serve Hakkaisan Uonuma de Soro junmai sake. My first challenge was pouring from the large 1.8 liter size isshobin bottle into the small carafes! Go slowly and don’t overflow! After filling the carafes are set in the warmed water bath. Slowly the sake will come up to temperature. The thermometer is used to keep an eye on the temperatures to make sure nothing gets overheated. Here is an overview of sake heating temperatures you can aim for. For my sake warming, I was targeting a Jokan temperature! I found that using four carafes in rotation I could keep a steady supply of sake ready to go for our guests. Soon we had a room full of guests enjoying Hakkaisan sake. Each guest was issued their own cup and could enjoy sake from many different breweries. Since the day was rainy and chilly, warm sake was a popular option! I stayed on top of refilling the carafes as soon as they were empty and got more sake heating up. Pouring sake can be tough on your fingers if the carafe gets too warm, so i kept a small towel handy not only to catch the drips but to use to handle the carafe. Once I got in the swing of things, this experience was really fun. I really enjoyed my experience being an Okanban! This entry was posted in Tim's Corner on December 15, 2016 by hakkaiedit.